Carnival Cruise Line will expand capacity on its short cruise offerings from the Port of New Orleans beginning in 2019. Carnival Valor will shift to New Orleans for year-round four- and five-day cruises from the Big Easy beginning in May 2019, becoming the largest ship to offer a year-round short cruise itineraries from Port NOLA. The 2,974-passenger Carnival Valor will kick off its new year-round schedule of fourand five-day cruises from New Orleans May 16, 2019, replacing Carnival Triumph and representing a nearly 10 percent increase in capacity on the line’s short cruise program from Port NOLA. Carnival Triumph will be deployed to another homeport to be announced at a later date. Also in May 2019, Carnival Glory will take over the New Orleans-based year-round seven-day schedule of Carnival Dream. 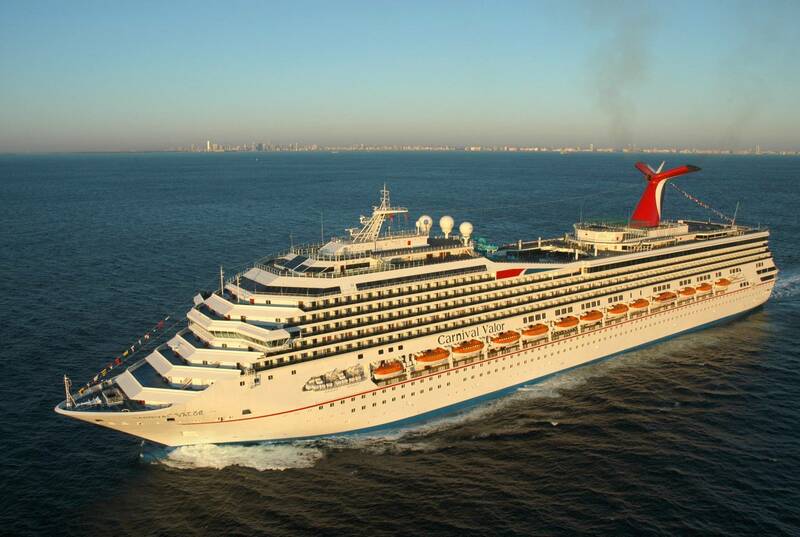 Together, Carnival Valor and Carnival Glory are expected to carry nearly 400,000 passengers annually from New Orleans. Carnival Valor last year underwent a multi-million-dollar renovation that added such popular highlights as Guy’s Burger Joint, developed in tandem with celebrity chef Guy Fieri, the Caribbean-themed RedFrog Pub, SkyBox sports bar, Alchemy Bar and the poolside RedFrog Rum Bar and BlueIguana Tequila Bar. Other features on Carnival Valor include an adults-only Serenity Deck, a 214-foot-long water slide and Scarlett’s, a classic American steakhouse.